Rent-A-Kitchen.com – Rent-A-Kitchen is the original brand of Le Gourmet Factory. This website was designed by Striking Web Solutions as a splash page to inform the customer of what Rent-A-Kitchen will offer once the kitchens were finished being built. As the business grew and the kitchens were finalized, the brand emerged into Le Gourmet Factory LLC. 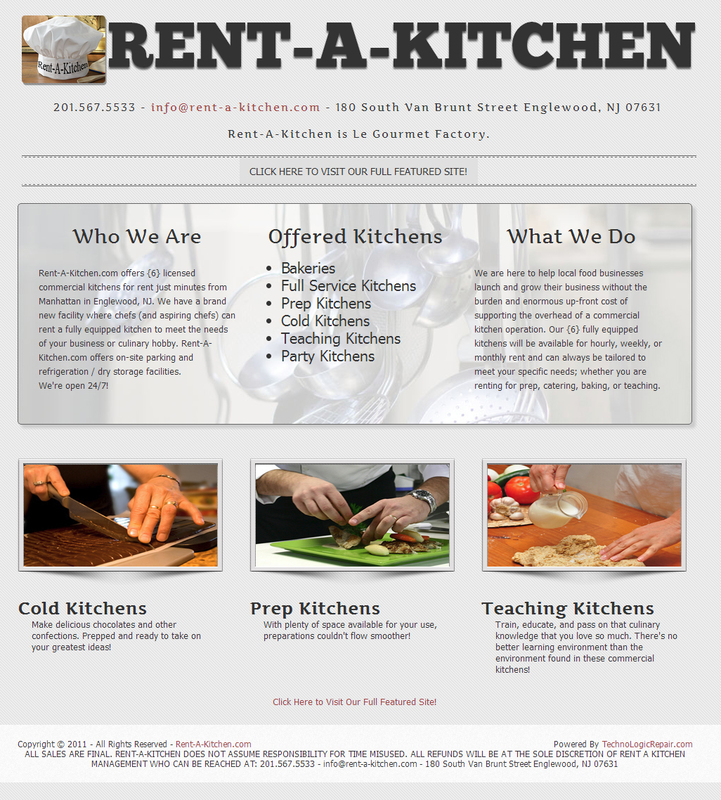 Rent-A-Kitchen.com still exists as a splash page, serving as a gateway for customers to get connected with Le Gourmet Factory.